Why book a shared Christmas party with Ultimate Experience? Are you making plans for the festive season? It’s never too early to think ahead! Find out why booking a shared Christmas party can be incredibly cost effective. By booking a shared Christmas party, you can make substantial savings. Why? Because the larger the event, the lower the cost per person. At Ultimate Experience, we have remarkable economies of scale, because we work with a long list of trusted suppliers. 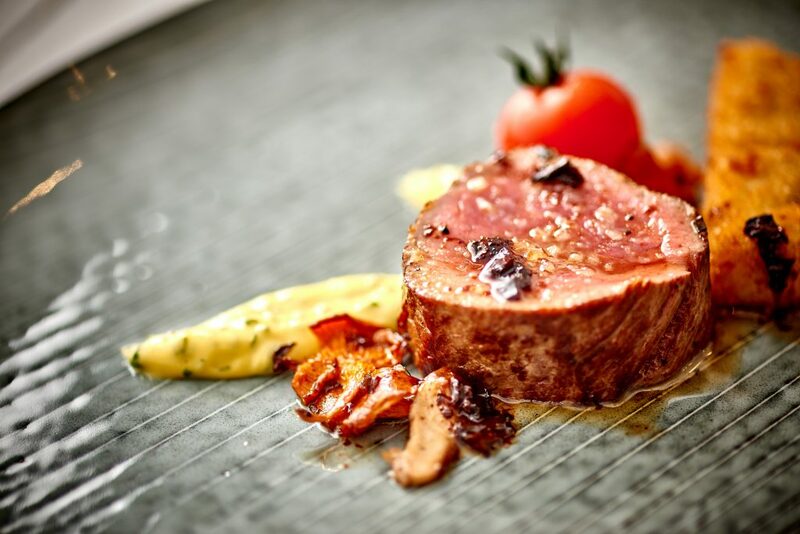 We are also part of the renowned Concerto Group, which represents 15 other leading brands, from sought-after production teams to acclaimed event caterers and other event managers. Having access to such a vast network of talent means we can provide outstanding value for money. That translates into big savings on food & drink, entertainment and the venue itself – meaning you get much more for your money. If you’ve always wanted a luxury Christmas party next to the Tower of London, or overlooking the Thames, now you can! With a shared event, you can choose from an wide range of exclusive venues for your Christmas party in London. Look forward to a showstopping experience without going over budget. It’s time to spoil yourself. This year, treat your guests to the most delicious Christmas food they’ve ever experienced. Our esteemed catering partner, Create Food, offers mouthwatering, beautifully presented dishes that are tailored to every client’s requirements. This brand has catered for many of London’s most exquisite venues, in fact, from famous galleries and museums to the OXO2 tower overlooking the South Bank. By choosing a shared Christmas party in London, you can enjoy the best food & drink for a much lower price than a private event. With a shared Christmas party you can treat your team to world-class entertainment at a greatly reduced cost. 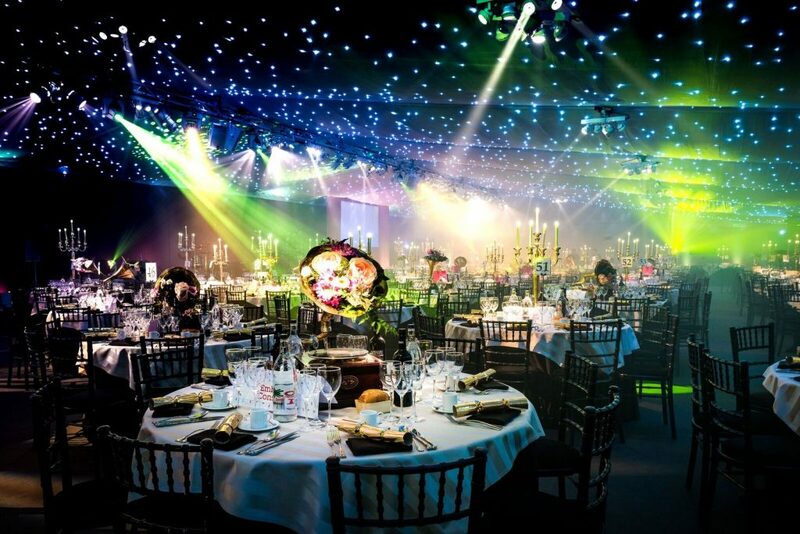 For example, this year, the Old Billingsgate in the City has a special Bright Lights Big City theme, with superb entertainment, live music and 1000+ guests. Then The Vaults, another leading City venue, is hosting Après, celebrating Christmas with a colourful 80’s skiing theme and endless dance tunes from a top DJ. Alternatively, perhaps you might fancy Boogie Wonder Nights at The Artillery Garden at the HAC with explosive colours and all the classic sounds of the ’60’s, ’70’s and ’80’s? 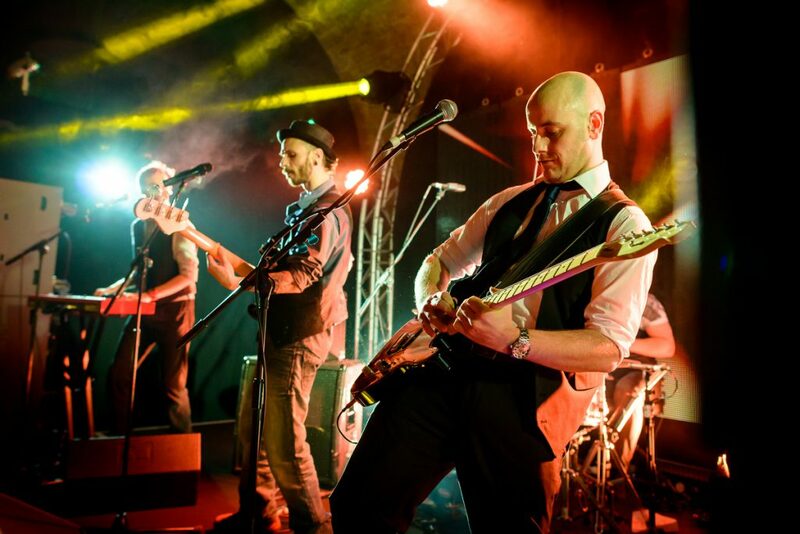 Or maybe you’d prefer Boutique at the Pavilion at the Tower of London, a sophisticated soiree with a brilliant live band. Whatever venue you want, just contact the friendly team at Ultimate Experience today to find out more.